Google purchased NEST a while back but have yet to move into that ecosystem fully. Today at Google IO 2015 they have announced their new operating system for their internet of things (IoT). Working with the Android and ChromeOS teams they have developed Project Brillo. Google see it as a comprehensive end-to-end solution. Based on Android, Project Brillo is the unlerlying operating system for IoT. It has minimal hardware requirements (“like door locks”) and has a centralised management console to manage the devices connected. There is a communications layer for IoT called Weave. 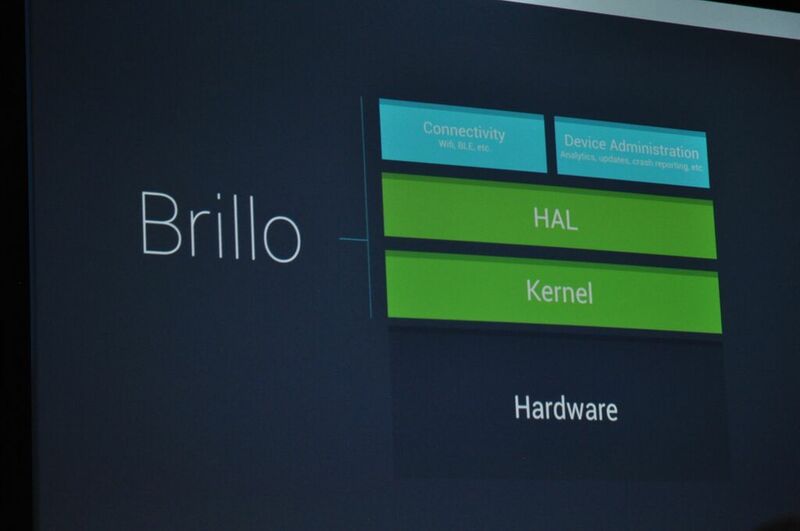 Interestingly Project Brillo is cross-platform with voice APIs allowing full voice commands. The developer preview for it will be available in the third quarter of 2015, with the full stack pushed out in Q4. With Google focussing on the user experience hopefully it won’t be too long before it is released in Australia. Stay tuned to Ausdroid for future updates including local release information.